Island life suits Dr. Marye Lois McCroskey. But she only found tropical climates best suited her later in life. She began her training to become a family medicine physician in Tennessee. And 25 years ago, she teamed up with a group of six other local physicians and opened a private practice in Mayville, Tennessee. Over the years they expanded their practice, which housed its own lab and radiology. After 25 years of success, they were courted by the local hospital system who ultimately bought them out. This timeline perfectly coincided with the plan she and her husband made: being independent and just “doing what they wanted to do” when they reached their 50s. They hadn’t predetermined what that would look like, but they just wanted the freedom to choose what that looked like. Dr. McCroskey urges anyone thinking about working locum tenens to start their research early. She says it’s also crucial to make sure spouses are included in the decision-making process when choosing an assignment. Her first assignment landed them in Maui, where she worked in a small outpatient clinic. After working there for four months, she decided to take breaks between assignments so they could fully enjoy Maui living. 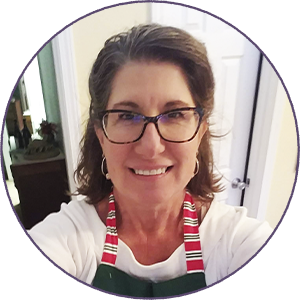 Not only was Dr. McCroskey taking advantage of the island life, but her retired husband was able to follow his dream and found a job at one of their local SCUBA shops and began giving diving lessons. She and her husband also took advantage of their location to use Maui as a jumping-off point for their travels during the time she took off between assignments. Dr. McCroskey also found that the locals were used to locums (they are known as “travelers”), and they treat them like family. She recalls a patient who told her about her son who was an accomplished musician and would be performing at the Maui County Fair. She and her husband made a point of going to see his performance. Having become accustomed to island living, Dr. McCroskey and her husband decided to broaden their search, and soon found she was drawn to the prospect of working international locum tenens. That’s when she was presented an opportunity in the Caribbean. While working this assignment, she found a local pediatrician who needed some help. She ended up working for the two physicians on St. Thomas and is currently working exclusively with these two docs. She did, however, find that licensing for her assignments in Hawaii and the Caribbean were a bit more challenging than the traditional process. Rather than doing the licensing electronically, as is the norm in other states, in Hawaii it’s done entirely on paper, which ultimately resulted in a six-month licensing process. In the Virgin Islands, it was even more complicated. Dr. McCroskey chuckles when she hears doctors say they’re “not ready” to work locums. She’s sure to let them know that it’s not just for those nearing retirement, and is happy to fill them in on the benefits of locums. “I tell them they can do it at any time in their career, work locums for the experiences,” she says. “They ask me what kind of physicians it would be appropriate for, and I’m sure to let them know it’s for any type of physician. I tell them there’s a bit of uncertainty at first, but if you’re burned out or want to try something different, it’s perfect.